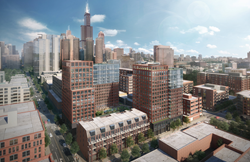 ZOM Living will break ground in March on Union West, 357 apartment homes located in the burgeoning, affluent, West Loop/Fulton Market neighborhood at the corner of West Washington Boulevard and North Sangamon Street in Chicago. Union West will consist of two, Class AA, Green Globes-Certified residential towers atop a three-story podium. 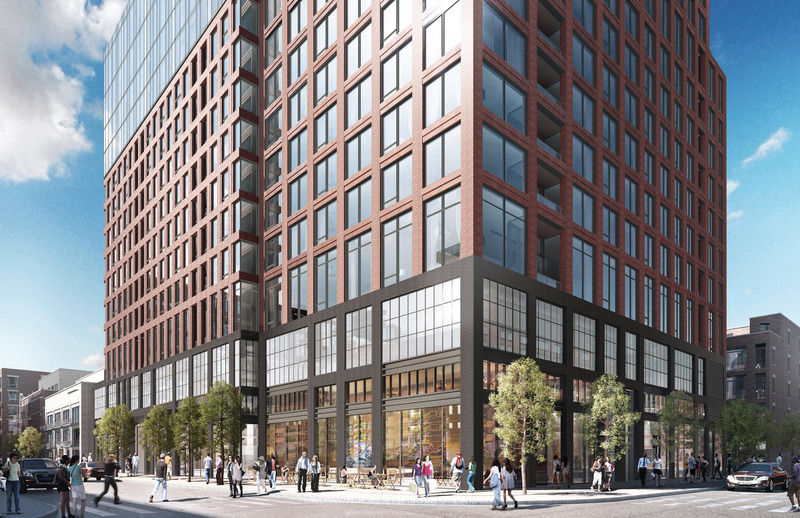 The residential lobbies, 12,636 total square feet of ground floor retail and 255 structured parking spaces are housed within the podium, with a connected single-story retail building along West Madison Street. Its central location, one block from the Randolph Street corridor, provides unparalleled access to highly-valued neighborhood amenities including the City’s most popular and hippest restaurants, social clubs, art galleries, high-end retail boutiques, top-tier grocery shopping and convenient transit access to the Morgan CTA stop just two blocks away. Earning a Walk Score of 98, Union West boasts easy walking to the trendiest restaurants located in the West Loop. Residents will have the option of studio, convertible, 1BR, 2BR, 3BR and pent-house floor plans from 501 SF to 1,377 SF and averaging 737 square feet. Units will offer European style kitchens with quartz countertops, Italian style cabinetry, 9’ ceilings, floor to ceiling windows with roller shades, wide plank flooring, private terraces (select units) and a keyless entry system. Union West will also feature a best-in-class amenity package that includes both indoor and outdoor features spread throughout the Property. Union West first units will be delivered in Q4 2019 with pre-leasing starting Q2 2019. ZRS Management, LLC will provide leasing and property management services. Construction financing was provided by Union Labor Life (ULLICO). Power Construction is the general contractor, BKL Architecture, LLC is the architectural firm for the project and R.D. Jones will provide interior design services. ZOM Living is headquartered in Orlando and has regional development offices in South Florida, Texas, Washington D.C., Chicago and Raleigh. ZOM has 5,500 units currently under construction or in design/predevelopment throughout the U.S., with a total capitalization of $1.8 Billion. For more information on ZOM’s multifamily portfolio, visit http://www.zomliving.com.